Ideally located in the heart of Upper Mount Gravatt, the Mt Gravatt Bowls Club is the ideal venue for hosting events ranging from Wedding receptions to seminars and everything in between. We can meet your requirements, exceede your expectations, and do it with a touch of class. Able to seat 200 guests in air-conditioned comfort and boasting a massive parquet dance floor, the Mt Gravatt Bowls Club is one of Brisbane’s most outstanding venues. Our team of talented Chef’s are sure to impress and our coordinators will tailor a package that wont break your budget. Contact us today and see what makes Mt Gravatt Bowls Club special. Fill our the form on this page to see our base packages. We take all the stress away. The Carson room at Mt Gravatt Bowls is the ideal location for your big day. The combination of our experienced events team, high quality food and service plus our reasonable pricing sets us apart from the competition. We understand how important your day is and strive to exceed all of your expectations. Our Carson room is able to seat up to 200 guests, looks fantastic and is able to be configured in a variety of ways to suit your vision. Our menu packages make selecting a delicious meal easy or our Chefs will work with you to create a menu to suit your tastes and budget. 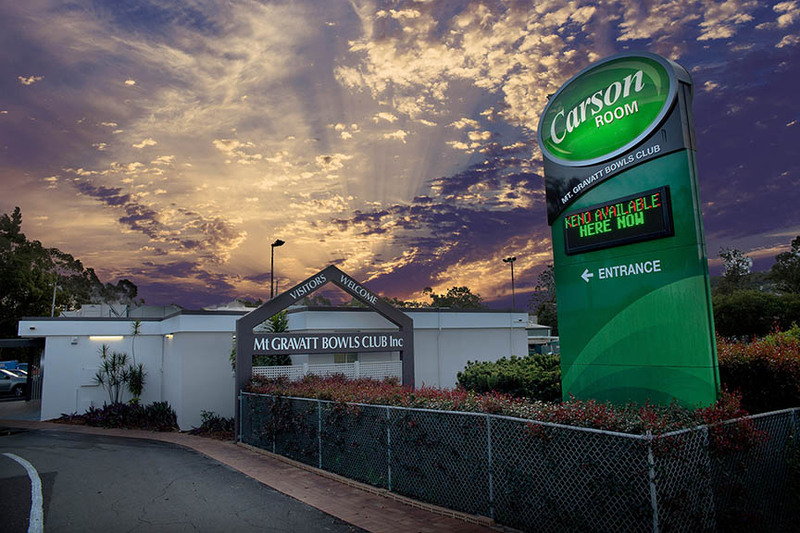 Choose the Cason room at Mt Gravatt Bowls and let us take the stress away. Whether it’s a training seminar for 15 or presentation for up to 200 our Carson room is a great venue for your next event. With off street parking, disabled access plus audio and video equipment we have the facilities you need. The Carson room at Mt Gravatt Bowls is a fantastic spot to host your next celebratory event. With a high dance floor overlooked by a large stage and our team of friendly and professional staff we can make your next party great. The flexibility of the Carson room allows us to host a multitude of different event types. Birthday parties, staff parties, Wedding anniversaries, engagement parties and more. We have the facilities, staff, and know how to make your event one to remember.